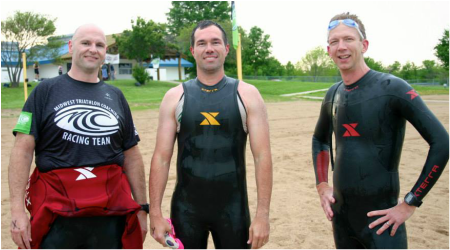 Open Water Swim Session and Clinic will be held again this year on Wednesday, May 8th at the Longview Lake Swim Beach (site of the transition areas for the KC Triathlon). Clinic will include a safe opportunity to get into the Lake prior to the first local race of the season. We will present Ten Tips for Better Open Water Swimming with a Q&A session to follow at three separate times during the evening. Beach Opens at 5:30p. Athletes can swim as much as they'd like from 5:45 to 7:30p. Wetsuits are highly recommended. 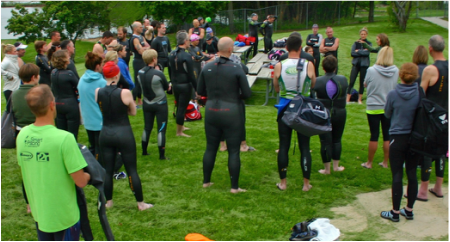 XTERRA Wetsuits is supporting the event and we have a discount code available for all Clinic participants. If you don't have a wetsuit or are interested in purchasing a new one, contact me at ken@mwtricoach.com. This clinic will be sanctioned by USA Triathlon. ​All participants must be USAT Annual Members or purchase a One-Day License. Early Registration price is $21. Will eventually go up to $35 on the day of the event, so register now!